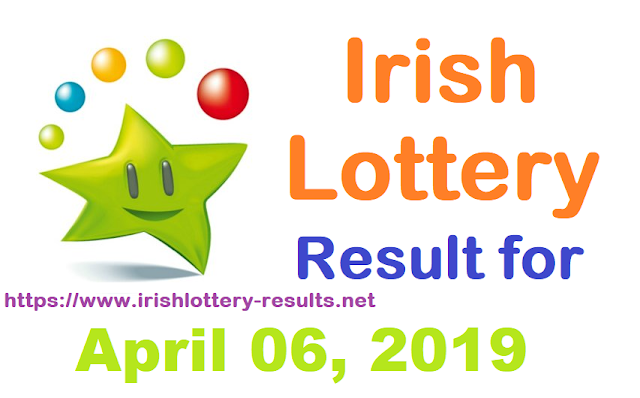 Ireland's most popular and multimillionaire creator lottery result for April 06, 2019 has been announced please check the result below. The results includes Plus 1 and Plus 2 numbers also with lotto plus raffle. Checkout all three draws and see if you are jackpot winner. Please keep in mind that you need to match all six numbers to win the jackpot. Other winning odds details are shown in the table below result. Before claiming any winning amount, Winners are requested to their winning numbers carefully with lotto official. There are eight prize tires in Irish Lotto. You can found them below in the table with odds of winning and prize value of the each tire. Claiming of winning lottery prizes is depends upon how much amount you won in it also from where you brought your ticket. You have 90 days after the result announcement to claim your winning amount. For retailer players it is required to show their physical ticket to claim their winning amount if their is no slip payment can not be made. So keep your slip somewhere memorable & safe place. Also it is advisable to sign on ticket to validate your identity. For prize range €100 to €499- Paid by cheque and cheque will sent to your address which provided while signing up. For prize range €500 to €9,999- Paid by cheque after submitting prize claiming form with suitable identity. For prize up to €100- It can be redeemed at any one of 3700 Retailer over the country. Also retailers are authorised to pay amount up to €2,500 at their own discretion. For prize range €100 to €14,999- Claimed at dedicated An Post offices across the Republic of Ireland. Ireland's most popular and multimillionaire creator lottery result for 23 February 2019 has been announced please check the result below. The results includes Plus 1 and Plus 2 numbers also with lotto plus raffle. Checkout all three draws and see if you are jackpot winner. Please keep in mind that you need to match all six numbers to win the jackpot. Other winning odds details are shown in the table below result. 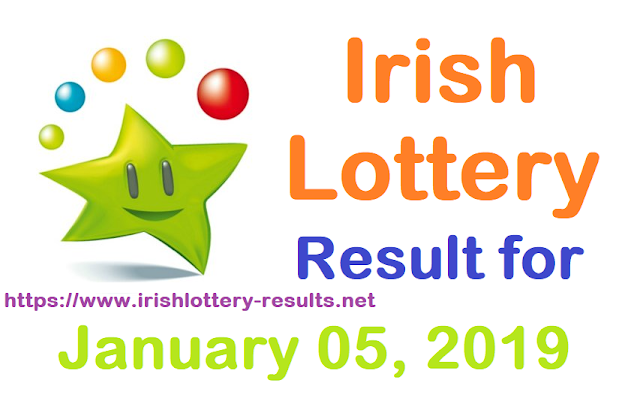 Ireland's most popular and multimillionaire creator lottery result for 05 January 2019 has been announced please check the result below. The results includes Plus 1 and Plus 2 numbers also with lotto plus raffle. Checkout all three draws and see if you are jackpot winner. Please keep in mind that you need to match all six numbers to win the jackpot. Other winning odds details are shown in the table below result. Ireland's most popular and multimillionaire creator lottery result for 16 February 2019 has been announced please check the result below. The results includes Plus 1 and Plus 2 numbers also with lotto plus raffle. Checkout all three draws and see if you are jackpot winner. Please keep in mind that you need to match all six numbers to win the jackpot. Other winning odds details are shown in the table below result.